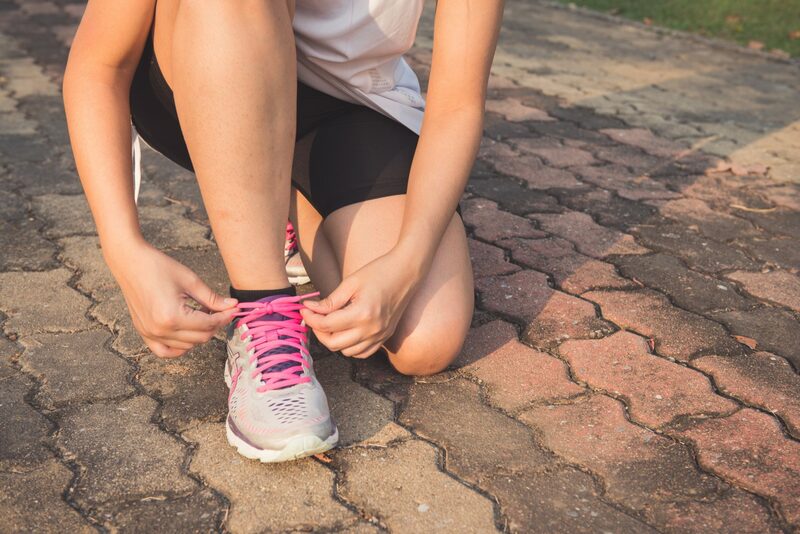 Because our feet come in so many different shapes and sizes, a model of running or walking shoes may fit perfectly for your friend but be uncomfortable, or even result in injury, for you. Knowing the makeup of your feet is essential when it comes to selecting the right pair of shoes. We collaborated with experts Don and Leslie Nottberg from Elite Feet in Kansas City to share six tips for choosing the best shoes for your feet. 1) Get professional service from an expert in running/walking shoes: If you haven’t done so already, go into a specialty running/walking shoe store like Elite Feet for a professional shoe fitting. These folks will not only look at the size and shape of your foot, but will assess how your foot lands when you run/walk, consider any medical conditions and make sure you have the most comfortable fit possible. Not only do they do this for a living—you can trust they know what they’re talking about—but they use the products themselves so they understand the fit and feel. 2) Never purchase a shoe based on looks: If you buy a shoe because of its color or pattern, there’s a good chance you’ll end up with sore feet down the road. Why? Because the look of the shoe doesn’t matter! Unless you’re planning to walk the runway in your new shoes, the way they look shouldn’t be top of mind. Personally, I’m not a big fan of the color pink, but do you know how many running shoes I’ve purchased in that color? I’ve lost count, but I bought pink shoes because they felt good and fit correctly, and that’s what’s important. 3) Go up a half size or more from your regular casual shoes: Our feet naturally swell when we run, so you’re going to need more room in your shoes than you may think. Do you ever experience pain or bruising on the tips of your toes? It’s probably because your toes are being squished against the front of your shoes (especially on downhills) as a result of not having enough room in the toe box. Consider going up a half size in your next pair! Shoe size can vary greatly from one shoe company to another. 4) The shape of the shoe should match the shape of your foot: There are a variety of shoe shapes out there because we all have unique feet! So if you have straight feet, you wouldn’t want a shoe with a curved shape, or “last.” Different shoe companies use different lasts, and once you get fit by an expert you’ll have a better idea of what shape your foot is. You definitely need the help of an experienced shoe-fitting professional to assist you with this. 5) Support those arches: Most people’s feet pronate, meaning their arches collapse as they walk or run. It’s perfectly normal—the body’s natural method for absorbing shock. Feet that overpronate usually benefit from some additional support which can come in the form of an insert to be placed in the shoe, or more support built into the shoe, or both. A fit specialist will be able to recommend the right level of support and stability in a shoe based on your pronation level (or lack thereof). Some people benefit from a more highly structured, stable shoe whereas others are better in a less structured, less supportive shoe. 6) The shoe should feel natural and fit like a glove fitting a hand: Once you’ve found shoes that match the shape of your foot and your required support level, they should feel snug but comfortable. You should have plenty of wiggle room for your toes, but starting at the midfoot and moving back to your heel, the shoe should hug your foot nicely. Don’t expect any “break-in” period—your shoes should feel great out of the box. It’s also important to consider how the bottom of the shoe feels. Some people prefer a highly cushioned shoe while others like a more “responsive” ride, feeling the running surface with each step. 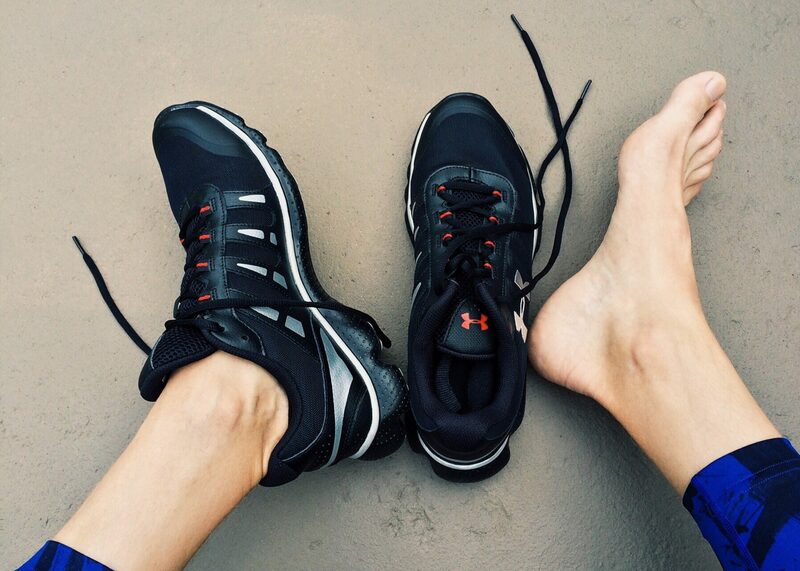 The structure of your foot can influence the level of cushion that’s right for you.